Are you using perfume bottles? The last couple you've used have been very interesting. I don't really recall exactly how I did the logo on both sides of the Eagle, but if I were doing it again I would draft/draw it with software. I would then print it in color on a piece of normal printer paper, then attach a sheet of cigarette paper directly over the printed image, I use clear scoth tape on two edges of the paper, opposite edges. I then stick the paper back into my inkjet printer, making sure it is oriented so it prints on the same side it did the first time, and then print it again. 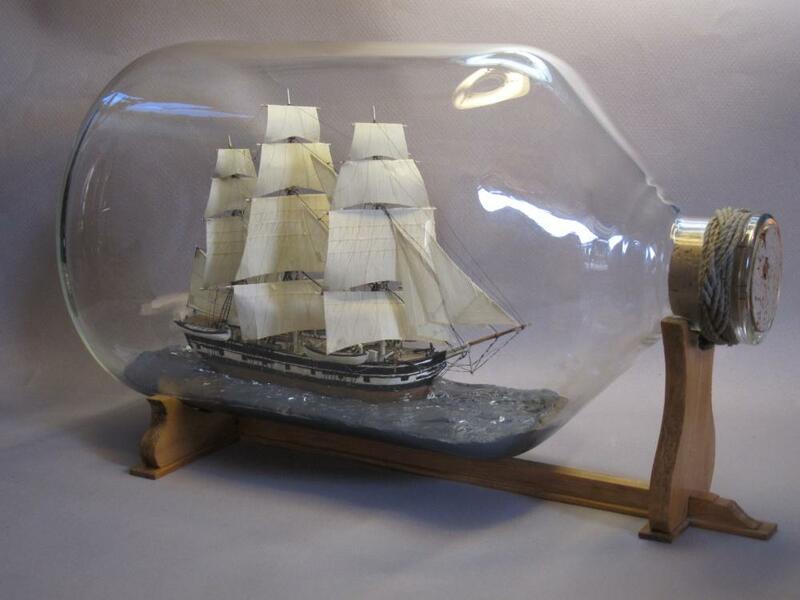 This time it should print directly in the cigarette paper, which you can then cut out and glue to your hull. 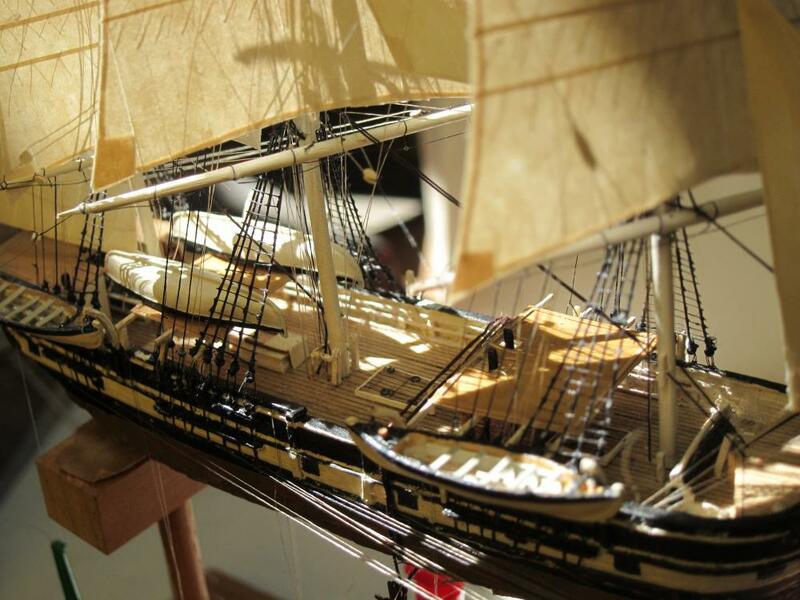 The paper is super thin, so leaves almost no ridges on the edges when glued onto the hull. In my case, I know my inkjet printer ink is water soluble, so I normally spray a light coat of clear varnish, to seal the paper and keep any colors from running. Hope that helps, though bit late as I didn't see your question. A lot of thanks for your answer! Still on the bench, but it's moved up onto the rigging stand. Nice work Igor. Very delicate. The cross is a nice touch. The craft reminds me of the type of boat the deciples were in when the storm came! Thank you Gwyl and Jeff! Boat is great but i really like the build box. any chance of some pics of the building box, maybe some plans please. Is really good. I can send to you the plans of this boat, if you need they. Hi Igor, that would be very much appreciated, thank you. My age induced inability to focus on small objects forced me to buy an Opti-Visor with a #3 lens (1.75X magnification) a few years ago. Last year I bought another with a #5 (2.75X) lens. I find the #3, which has a focal distance of about 12 inches / 30 cm, optimal for most bench work and the #5, about 6 inches / 15 cm focal distance, excellent for fine detail work. Even with a #5 lens in an optivisor I have trouble seeing #8 flyline, ordered a #10 lens last week, am curious to see how it does. I'll be brushing off the rigging with my eyelashes most likely. 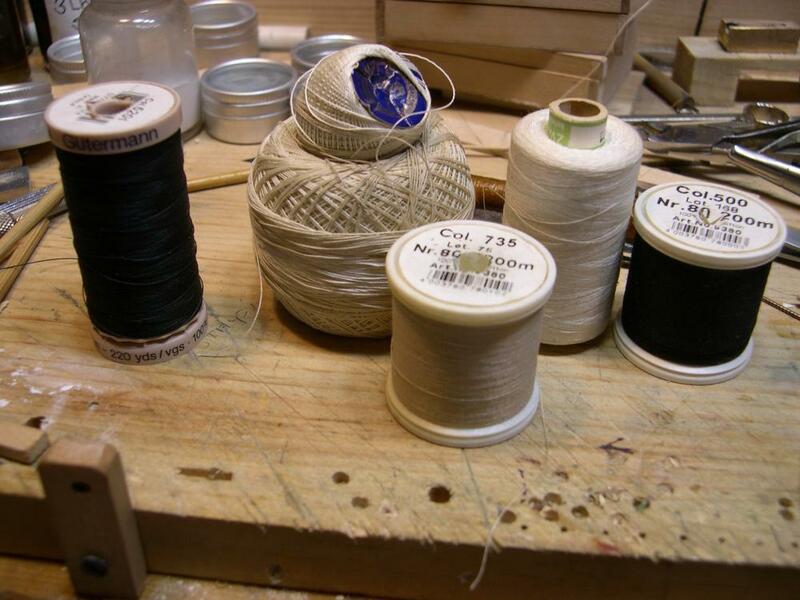 I'm about sick of flyline anyway, and have dug out my cotton, which I'll be switching back to for my next model. Alex, She is beautiful! I am in awe of your craftsmanship. Just wonderful! I am continuing to marvel to your model! It's just great! I started working under a fluorescent loop at my desk something like 10 years ago, and bring a magnifier loop with me on trips to the Peabody ship model club each week. Bought both through Micro Mark and just checked the portable loop - it's an Opti-Visor, and the lens has a #5 on it. 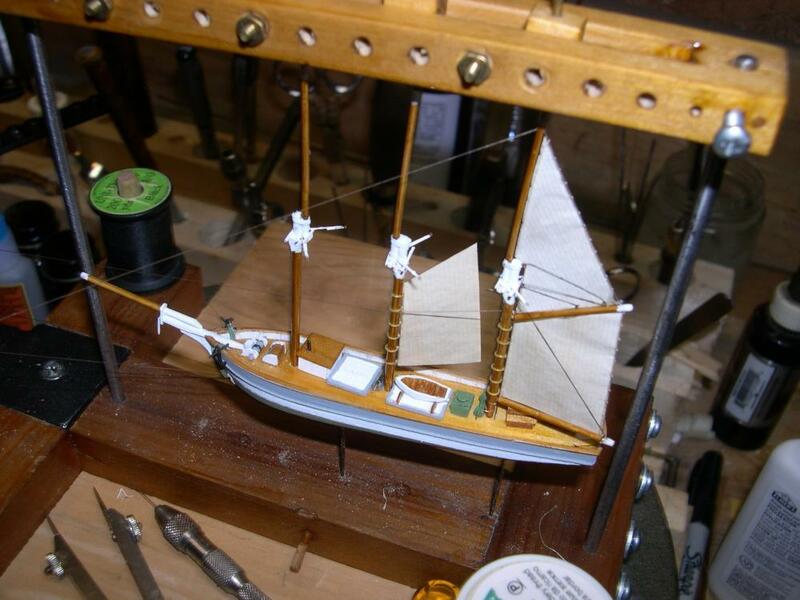 With the whaler done, I am returning to a project started in 2004. The distinction between what I obviously could see quite well then and now is not encouraging! Thank you all for your kind words! 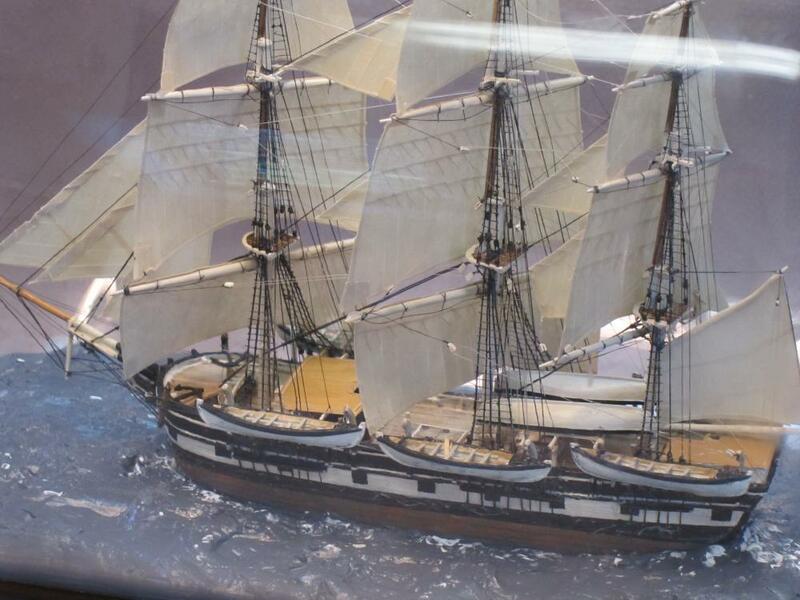 Heather Rogers kindly set me a picture of her recently completed Charles W.Morgan, also in a 5 liter bottle just like mine, and it is a remarkable model! Same subject, same size, but very different approach and very successful. I urge you all to see if you can track down a picture of this model and enjoy it! Fine looking models Gwyl. 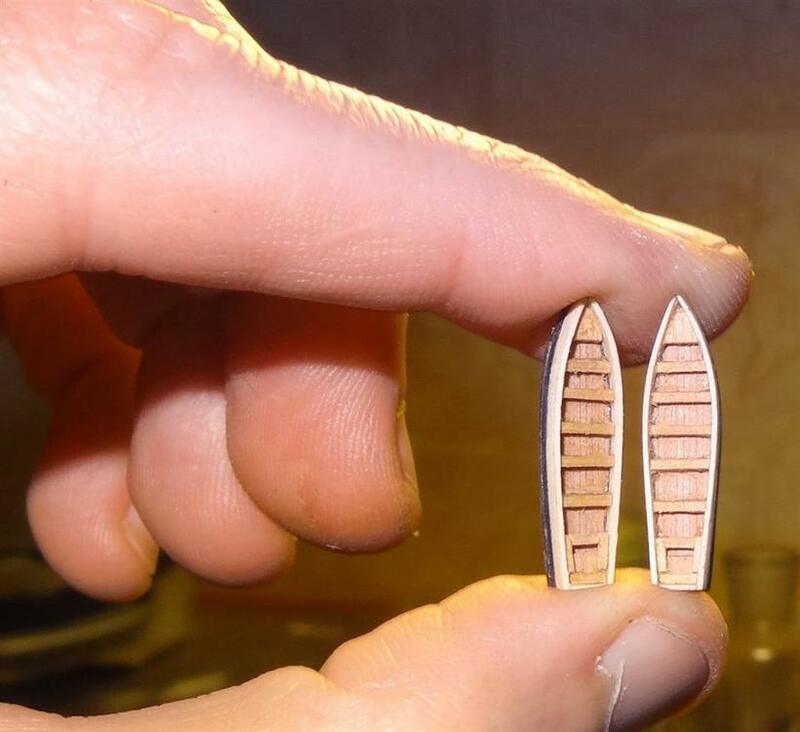 I have thought of doing a multi piece hull myself but have never tried it. 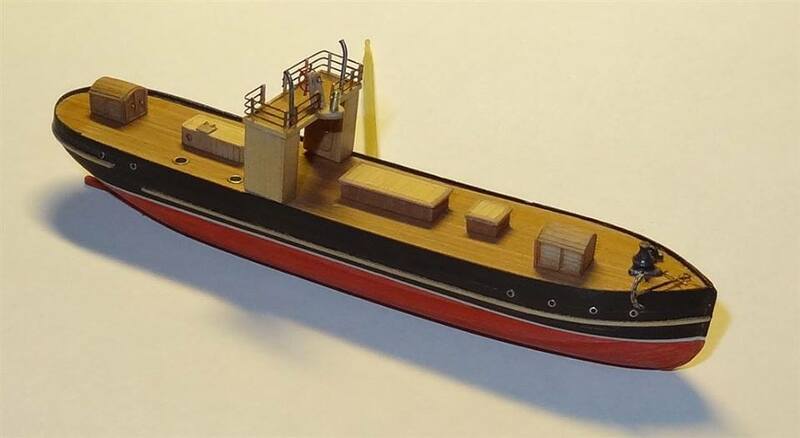 I have been asked to do a model of a small steam, mail, inter island cargo ship. My problem would be the superstructure. 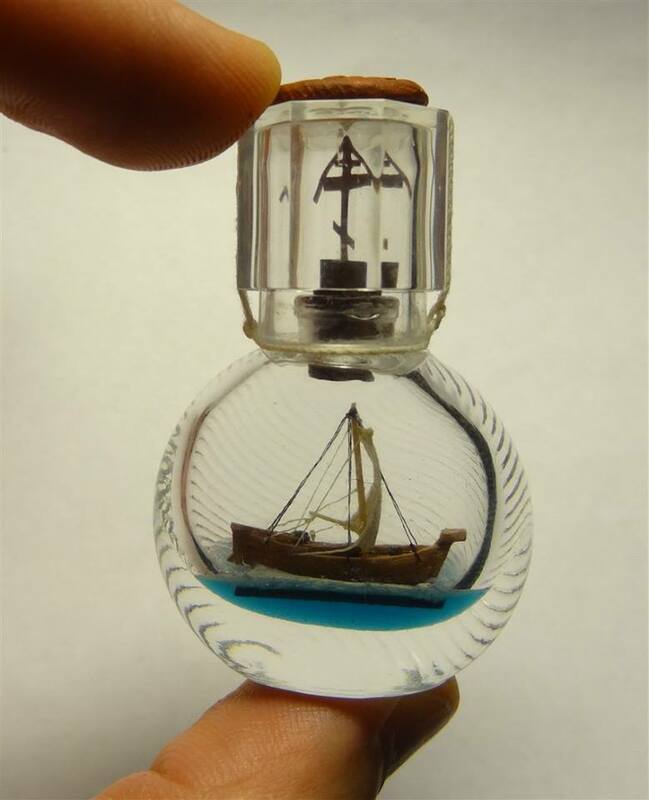 How would you disguise the joints after assembly in the bottle? Yes, I agree with Gwyl. I'm trying to use the kinds of solid wood (pear, hornbeam). This gives me the opportunity to make smooth the edges of the hull's parts, and they tightly are connected to each other.